This article first appeared on Point of Decision, August 24, 2015. Rock of the Marne. 3rd Infantry Division, WWI. DA Picture. Patton was himself a keen student of history, which, combined with a sense of the benefits of technology, made him a lethal commander. This is all well and good, but as excellent as those two institutions are, they rarely find a place into the day-to-day life of a Soldier. Therefore, I issue a challenge to all Army leaders: incorporate military history into your training schedule. I know, the Army already wants you to fit 400 days of training into 300 and you have more additional duty requirements than you know what to do with, but you owe it to your troops. You have 240 years of Army historical experience, just sitting there, waiting for a young and eager mind to attack it. Every single facet of Army operations (mobility, countermobility, survivability, offense, defense, logistics, administration, etc) can all be taught though a historical lens. Teaching does not mean the proverbial and hated “death by PowerPoint.” While there are times when rallying the staff into the conference room and going over slides on the Battle of the Marne are useful, the real training dividends are found in field exercises. Prior to an exercise, provide an appropriate historical vignette, to show how the problem being executed was solved (or not solved, as the case may be) in the past. For example, when conducting a movement to contact, there may be no better illustration that the meeting of Hill’s infantry with Buford’s cavalry on July 1, 1863 atGettysburg. Soldiers training on breaching can thank their stars that they are not breaching a concrete berm on June 6, 1944 on the beaches of Normandy. Armor units can console themselves with not having a current place on the battlefield by studying the “Thunder Run” in the First Gulf War. Personal and unit historical vignettes are useful for riveting a Soldiers’ attention, bringing the human element to the table. Soldiers want to learn. 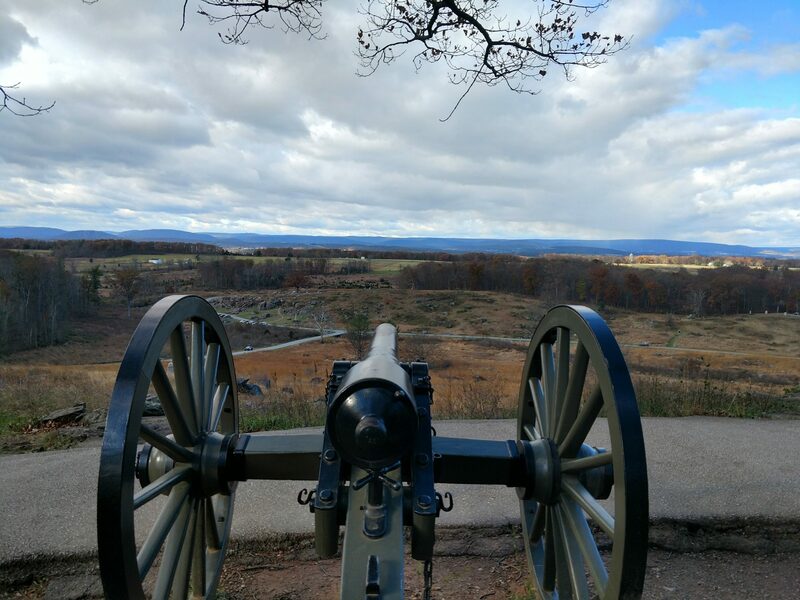 As a case in point, during a break in a mission when I was a platoon leader, I made a casual reference to the fight on Little Round Top during the Battle of Gettysburg. Several of my Soldiers asked why it was important, which led to me drawing out a map of the battle on an MRE box and talking through the various maneuvers. At one point I looked up, and was surprised to see the majority of the platoon crowding around to see the map. Being engineers, they quickly grasped how important terrain was in the battle and how the human terrain can be manipulated by good leaders. This was a learning point for me, that history is useful at all levels. Teaching Army history does not have to be for staff officers at War College only; it can, and should, exist throughout all formations, at every rank.Soldiers want to learn and want to be trained; it is up to the leaders to bring them the training that they deserve. If a private in the Marine Corps can talk knowledgeably about Belleau Wood (and they can, ask one), there is no reason a private in the Army cannot talk about Bastogne. If nothing else, let’s do this to be better than the Marines. Angry Staff Officer is an officer in the Army National Guard and a member of theMilitary Writers Guild. He commissioned as an engineer officer after spending time as an enlisted infantryman. He has done one tour in Afghanistan as part of U.S. and Coalition retrograde operations. With a BA and an MA in history, he currently serves as a full-time Army Historian. The opinions expressed are his alone, and do not reflect those of the U.S. Army, the Department of Defense, or the U.S. Government.